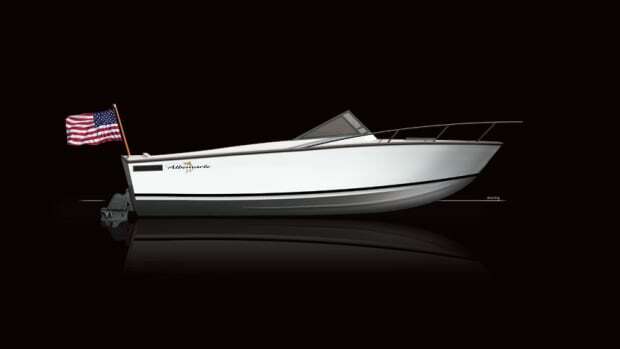 The 1950s and ’60s were a time of great activity and innovation in the boating world, with new boats and a new audience waiting to buy them. There were new ways to build them, too. Even as fiberglass construction was becoming the method of choice, some builders looked to other materials. Herbert Phillips was one of them. 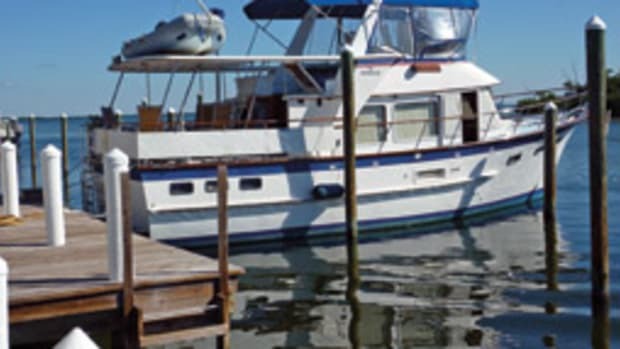 He started out building steel skiffs and fishing boats at a shop on New York’s Long Island in 1951 before moving to Pompano Beach, Florida, in 1954. 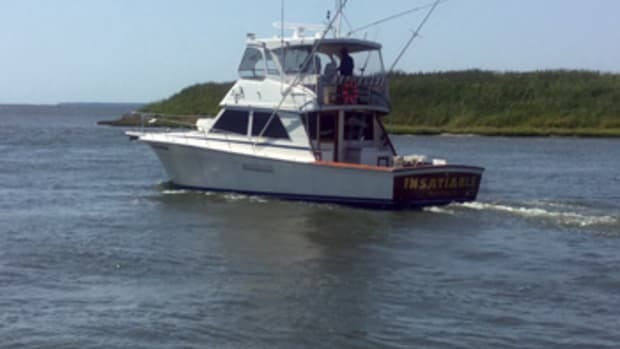 Three years later, he moved the building end of his Striker Boats business to the Netherlands and soon was producing steel fishing boats up to 50 feet. 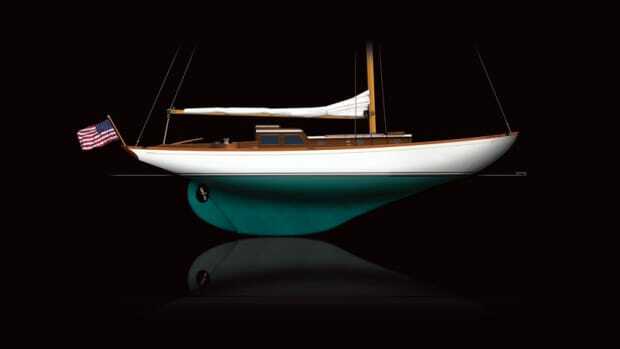 Striker’s sea change came in the ’60s, when the company began building boats of welded aluminum. According to Phillips, aluminum had several advantages, chief among them it didn’t corrode like steel and was lighter than fiberglass. 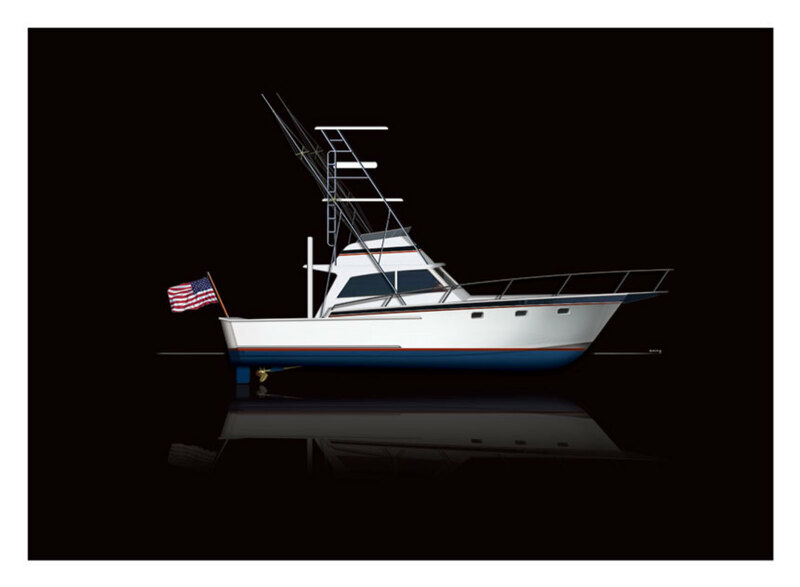 The Striker 44 rode a proprietary Pentapolymeric hull built of quarter-inch welded aluminum. 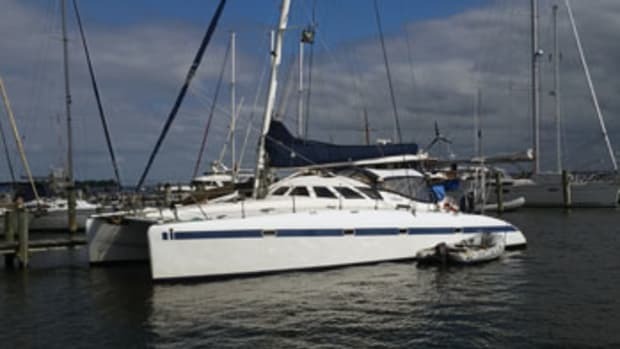 With its sharp, convex forefoot, midships planing surfaces and “trimaran transom,” the diesel boat could plane at 13 knots and top out near 30. The company brochure touted the 44’s “Scandinavian décor blended with the ultimate in American contemporary design and equipment.” The layout included a pair of staterooms — the master with a twin bed, and a V-berth forward. Galley-up and galley-down layouts came with a three-burner electric stove with an oven and rotisserie, and a refrigerator/freezer. The teak-trimmed saloon, decorated with deep-pile carpeting and an L-shaped settee, had a helm station with a destroyer wheel. 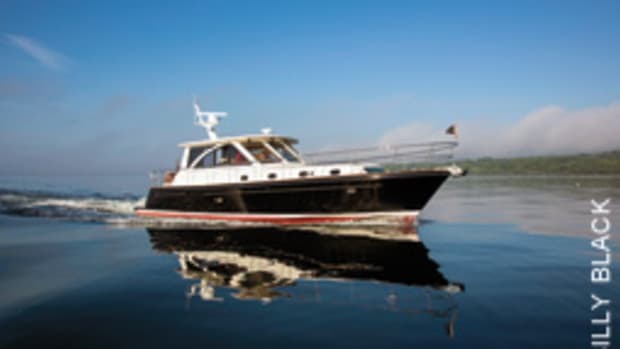 The flybridge had an island console, dual controls and an adjustable helm seat with a companion seat. 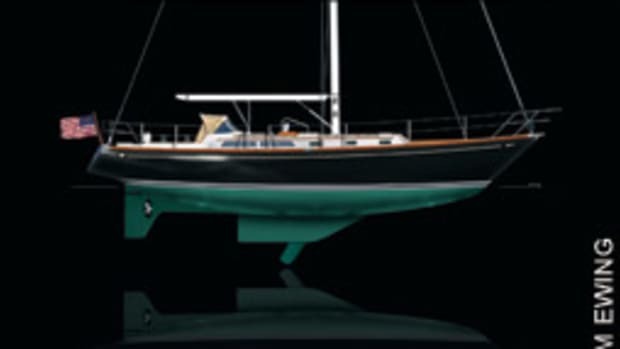 Striker went on to build larger aluminum boats, and for a time it offered welding repairs to owners around the world who damaged their boats.